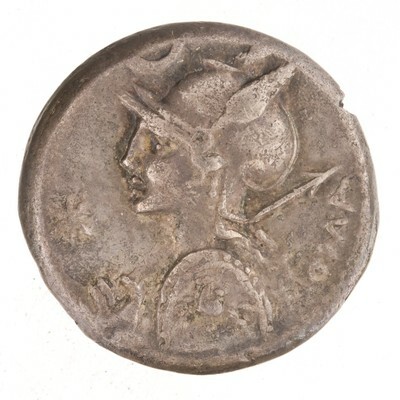 Obverse: ROMA X (crossed) - Bust of Roma left, wearing helmet and holding shield in left hand and spear over shoulder in right hand; above, crescent. Border of dots. 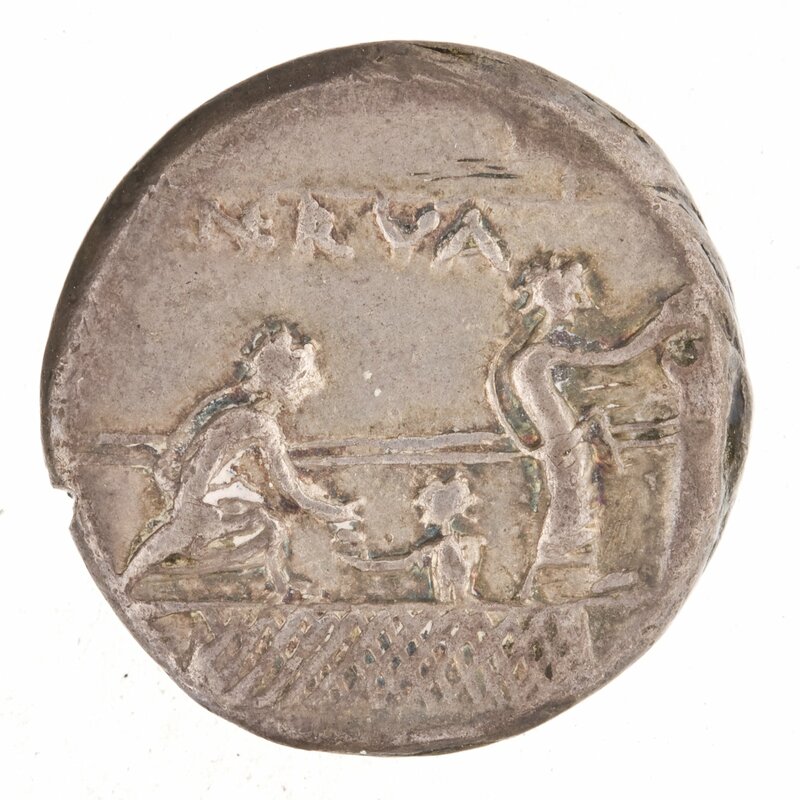 Reverse: P·NERVA - Voting scene. 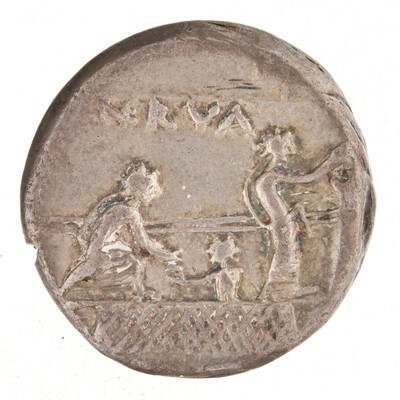 One figure on left of pons receives ballot from attendant below, another figure on right of pons places ballot in cista . At top of coin, bar on which stands tablet bearing letter P. Border of dots.